Disappearing Cheshire Cat Mug: As the mug warms up, the cat disappears, leaving his famous grin behind. Perfect accompaniment for adventuring with Alice. 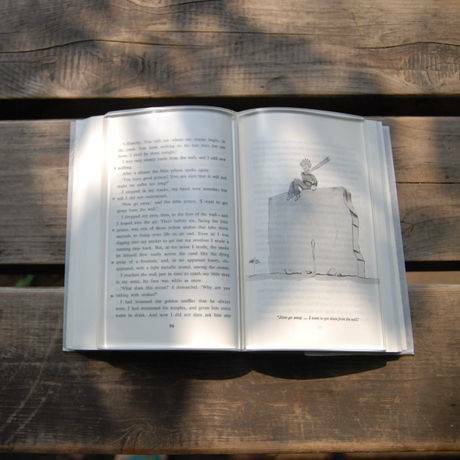 Clear Book Weight: Hold down your pages all the way to the edges. Windy days be damned! 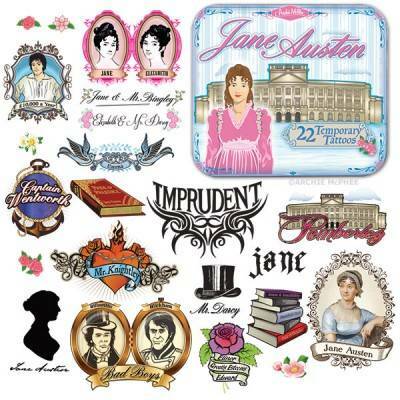 Jane Austen Temporary Tattoos: I particularly like the “Imprudent’ tramp stamp. 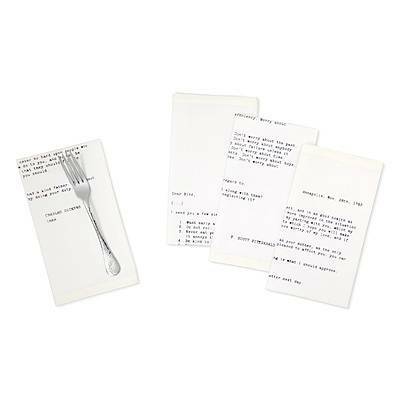 Parent Letter Napkins: Dress your table with letters from literary dads, like F. Scott Fitzgerald, Charles Dickens, Rudyard Kipling, and Thomas Jefferson. Kipling’s advice to his daughter for life in London is my favorite. Humbug Blanket: Despite the coziness of this throw, it’s “don’t bother me” message is loud and clear. 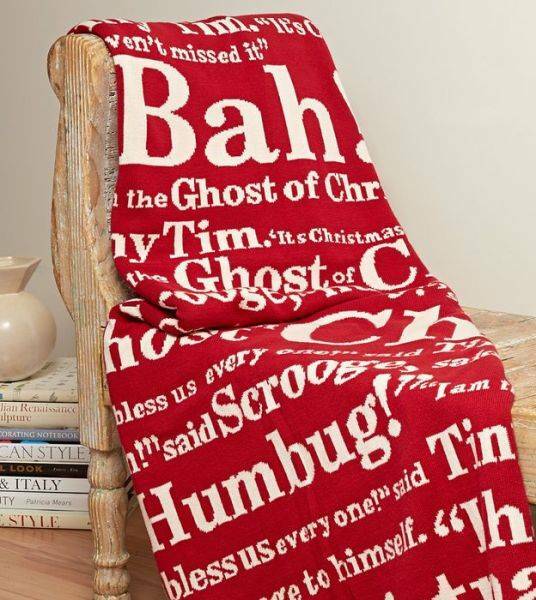 I want it for my annual Christmas Carol reading.